What a SUPER FUN way to review a wide range of standards. 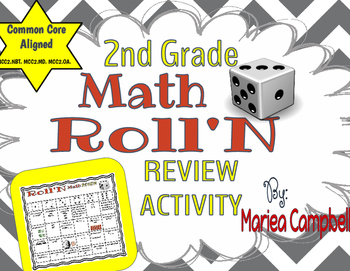 This activity provides Teachers with a way to keep students engaged and learning. 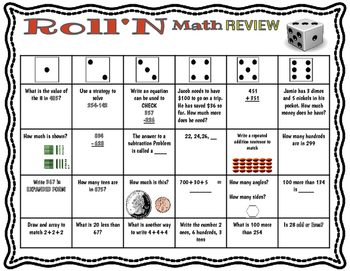 Students work in pairs, centers, groups, or individually to roll a di and answer questions. Players take turns and check each others work. 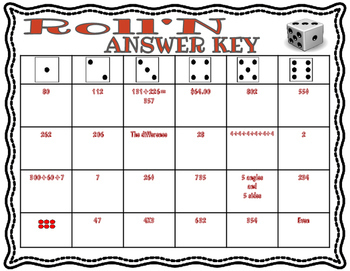 Directions, Questions Sheet, Student Answer Sheet, and Answer key included. PRINT and GO!